On Saturday colleagues pulled on their dancing shoes for our Halewood 'Charity of the Year' dinner dance and raised a fantastic amount of money at the same time! 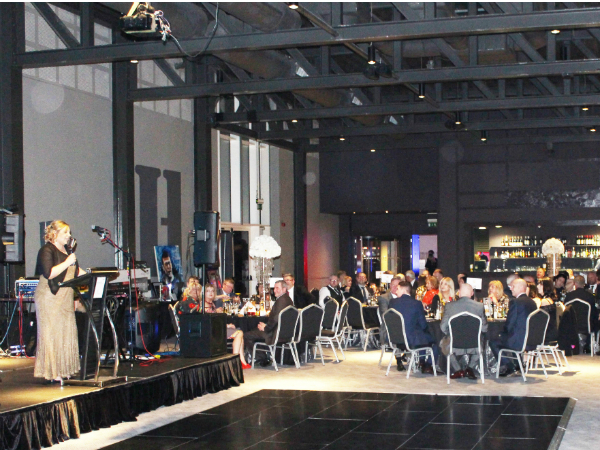 Held at the lovely Titanic Hotel, it really set the scene for a brilliant night of celebration and fundraising. There was a YMCA dance challenge, raffle, auction, photo booth and even an MD productions flash mob! With almost 400 people in attendance who (luckily!) were also feeling very generous they managed to raise a whopping £16,000 on the night, with the star buy our knock-out gloves signed by Land Rover Ambassador and boxing superstar, Anthony Joshua, raising an impressive £1,400. That takes our COTY total to….drum roll…a massive £116,000! Huge thanks to the COTY Committee, employees and suppliers who supported the event and donated prizes.